The sea keeps a lot of secrets and we might not have a slight cue about them. It’s only when these things are found out, we see what’s hidden beneath those deep waters. 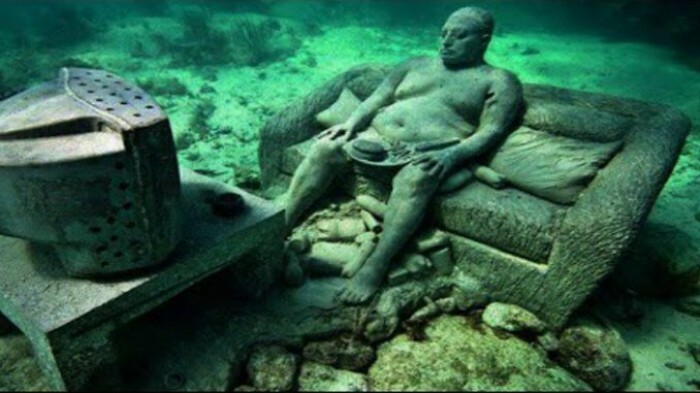 Have a look at eight most bizarre things ever found inside the sea. Dangers lurk beneath the gushing surface of Caribbean waters. There is also a secret hidden inside it. One can find an entire park of sculptures off the coast of Cancan. 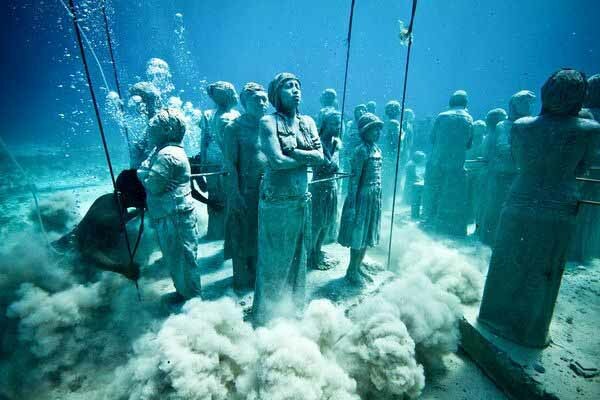 A nice deep dive can find feast your eyes with these mysterious yet beautiful statues. 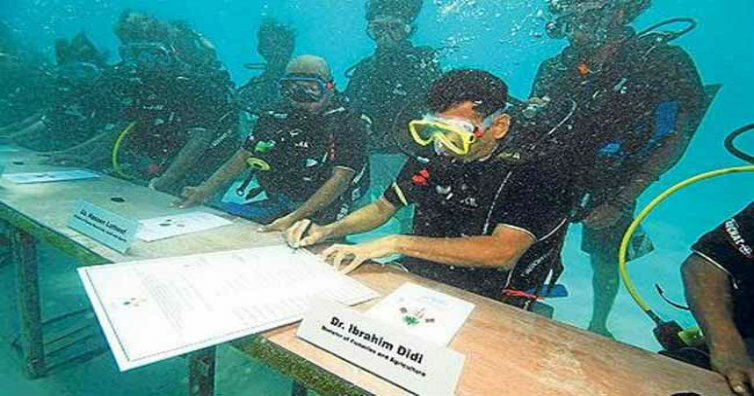 Mohamed Nashid, President of Maldives held the world’s first underwater meeting. It was a 30 minute cabinet meeting. The meeting was held 6 meters below the sea level. This steam locomotive made in 1850 was discovered after 135 years of its creation. The discovery has raised many questions and the mystery continues. 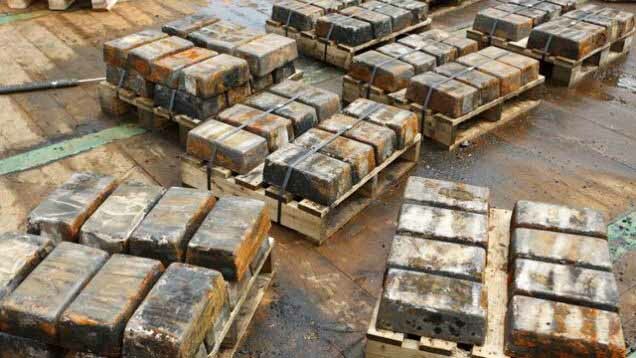 The precious treasure of 60 tonnes silver brick was found off the Irish coast. 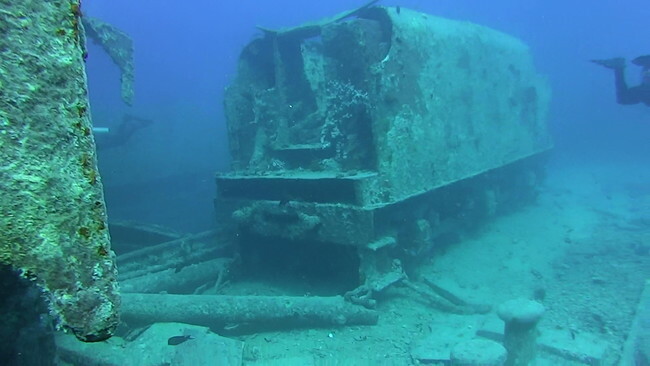 They are the remains of a British ship that was destroyed during the World War II. 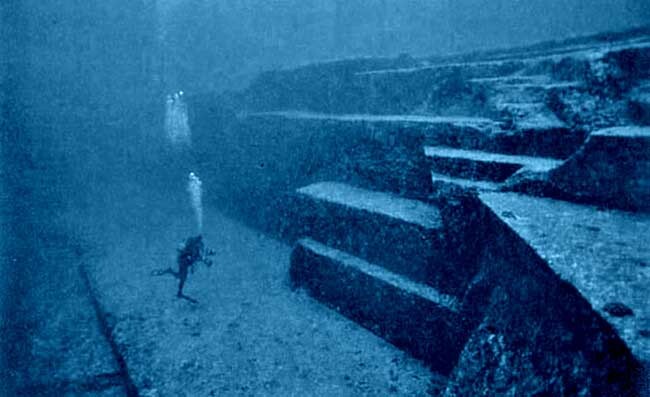 Discovered on the coast of Japan, the monument is estimated to be around 5000 years old. 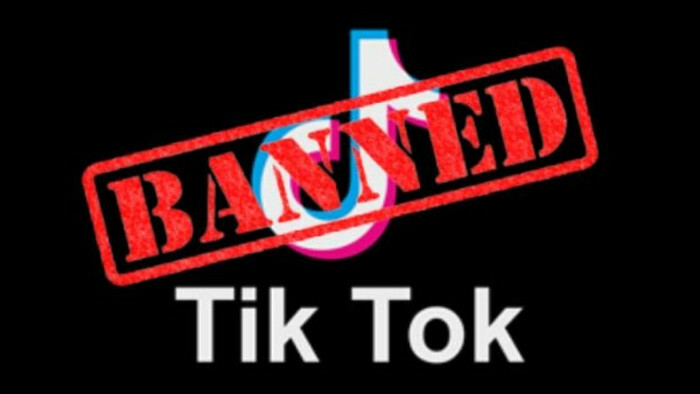 That means it is older than most of the ancient civilizations. 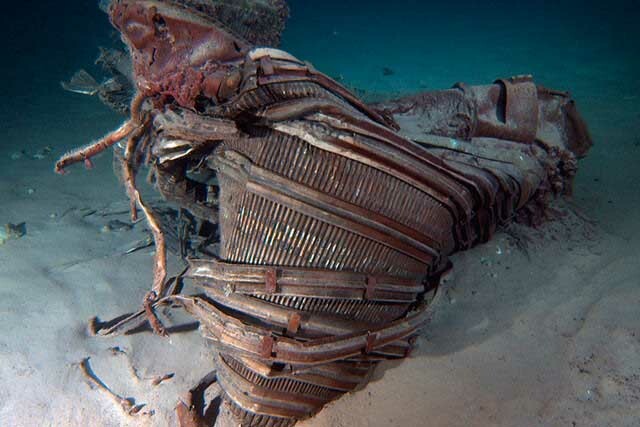 Apollo 11’s engine was recently found in the Atlantic Ocean. This expedition was funded Jeff Bezos, the CEO of Amazon. This city was drowned purposely. The huge architectural wonder under China’s Qiandao Lake is an attraction worth watching. 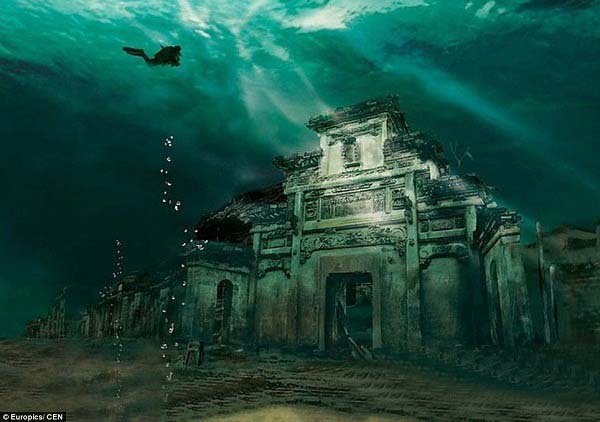 The city located 130 feet below the water level still remains intact for more than 50 years now. 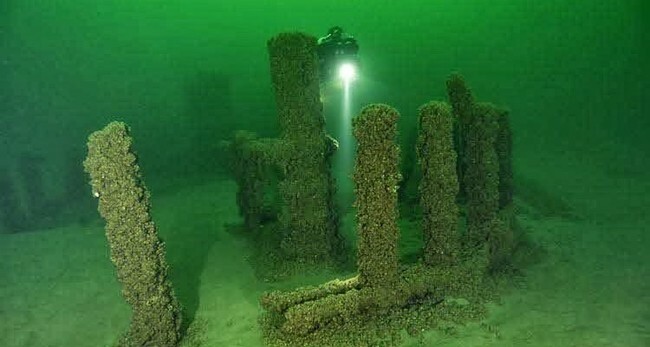 It was found in the middle of Lake Michigan. Ever since it was discovered, the only question that comes to everyone’s mind is – how did it get there?